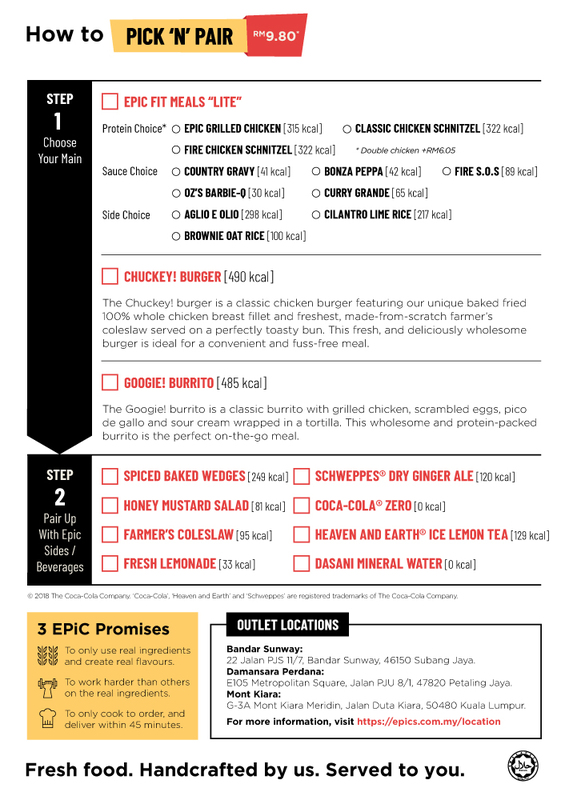 Pick N Pair | Epic Fit Meals Co.
G’day peeps! The school holidays season is upon us and we are introducing an all-new super value Pick 'N Pair deal! for the occasion. 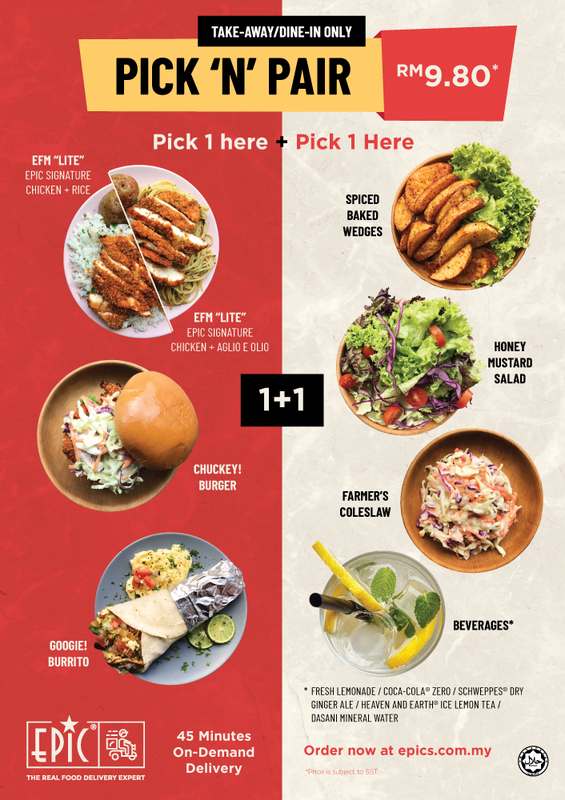 The Pick 'N Pair deal offers a wide variety and choices, whether you fancy something filling or light; a burger or burrito; some salad or more carbs; just Pick 'N Pair however you like for a super value and budget-friendly RM9.80 only! Here’s how it works. Pick any one (1) from EFM Lite', the Chuckey! Burger or the Googie! Burrito then Pair it with a choice of your favourite EPiC sides including Spiced Baked Wedges, Honey Mustard Salad, Farmer’s Coleslaw or a selection of beverages to complete a wholesome meal! The Pick 'N Pair deal is priced at RM9.80 and this promotion is only valid for dine-in/takeaway until 30/04/2019.